As hard as it is to believe, it finally feels like winter is coming to an end. The nights are getting lighter, the weather is getting milder and the spring flowers are beginning to bloom. This Friday the 20th of March marks the vernal equinox and the beginning of spring from an astronomical standpoint. From a meteorological stance, spring begins from the 1st of March but the astronomical definition of spring definitely feels a bit more accurate, particularly to those of us living north of the border! If you head over to Instagram or Twitter and have a quick search for '#springflowers' there is already plenty of exciting evidence that springtime is upon us already with lots of users posting their delightful spring flower photography. Inspired by this, we've taken to Instagram with a couple of new shots of our springtime bouquets; be sure to follow us as these are the first of many more to come over the next few weeks. We'll also be announcing the details of a new competition to win a bouquet shortly whereby we will be holding a contest in which we'll be asking you to send us your own #springflowers photography. Our favourite will win a springtime bouquet whilst runners up will all feature in a Clare Florist blog article so be sure to stay tuned to Facebook and Twitter for further details to be revealed very soon! 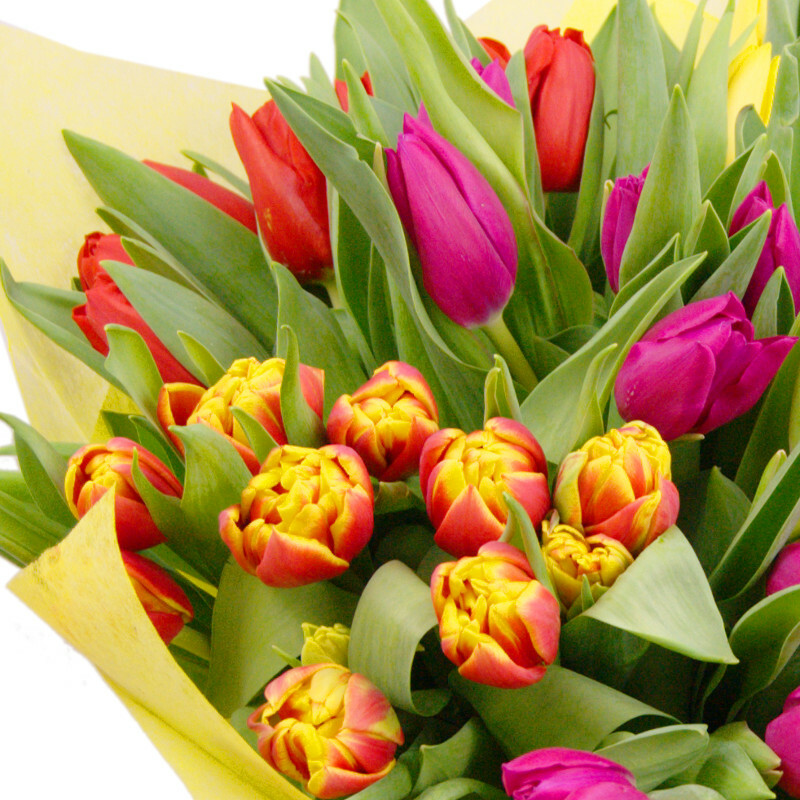 As the spring equinox approaches, we currently have a number of spring flower bouquets available now on special offer with free standard next day delivery included, included our popular Burst of Spring bouquet which has an amazing £10 off whilst stocks last.